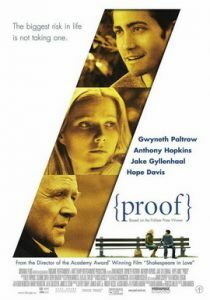 David Auburn’s PROOF is a wonderful, Pulitzer- and Tony-winning script that was made into the hit 2005 movie starring Gweneth Paltrow and Anthony Hopkins. I’ll be playing the Anthony Hopkins role in a heartfelt production at the Skokie Theatre. We’ve got a great cast. It’s going to be a fine production. And the Skokie Theatre is a super-comfortable place to see a show. Nice seats. Cocktails. Plenty of free parking. CTA Yellow Line station (Oakton stop) nearby. You can’t beat it. Plus you get $5 off tickets with the promotional code: richard. Warning: It only runs 3 weeks. I hope to see you there. (Poster image copyright Miramax Films). 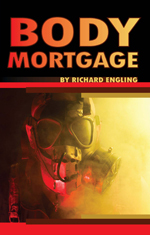 A newly revised edition of my dystopian detective thriller, BODY MORTGAGE, originally published by Penguin Books USA and Headline House UK comes out on Halloween and will be available for purchase at the Skokie Theatre during our intermission. Chicago private eye Gregory Blake attempts to protect a client facing foreclosure on his organs for transplants to the wealthy. Saving this man’s life puts him at odds with the most powerful people in the city–and the most dangerous. It’s a gritty thriller in a nightmare America where human parts are worth more than the whole. (My novels are also available at amazon.com). 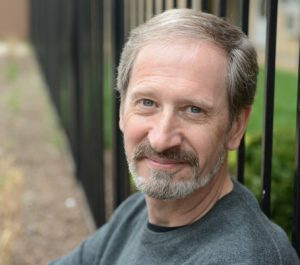 Richard Engling is an actor and writer and author of VISIONS OF ANNA, a novel about healing the wounds of grief, setting a troubled soul to rest, and finding redemption in love. 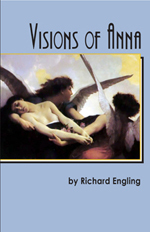 To learn more about VISIONS OF ANNA, visit Amazon. To read more posts like this, subscribe to Richard’s newsletter.